Thank you so very much, Ruthie! We were classmates from 1st grade at Woodrow Wilson through high school at NNHS. I will never forget our 5th grade teacher, Mrs. Page's son, picking you up in front of the class. He was a tall soldier then and you were so little. I heard that he was also killed in Viet Nam. We remember you with fondness. Posted for: JAMES MILES BRANDON, JR. It has been 37 years since I last saw Jimmy, but his memory still lingers on and probably always will, until we meet again. Jimmy and his family were always good friends during our years of growing up in Newport News. From Pee Wee football to high school sports, Jimmy was an outstanding athlete and always had a great attitude and outlook. I went to Woodrow Wilson Grade School with you and your older sister, Sarah, who is my age and was one of my good friends. My fiancé graduated with you from Newport News High School. We went to different high schools, but we attended Trinity Methodist Church in Newport News together. to all who knew him. Nor shall I forget the shock I felt on learning of his death only days after it happened. Thirty-three years have passed since then, yet he's never really far from my mind. As Tina Turner said, "You're simply the best, better than all the rest, Better than anyone, anyone I've ever met." Reading your remembrance for your close friend, 1LT Arthur Lee Galloway Jr. on the vvmf.org Virtual Wall has prompted me to write and say thank you. 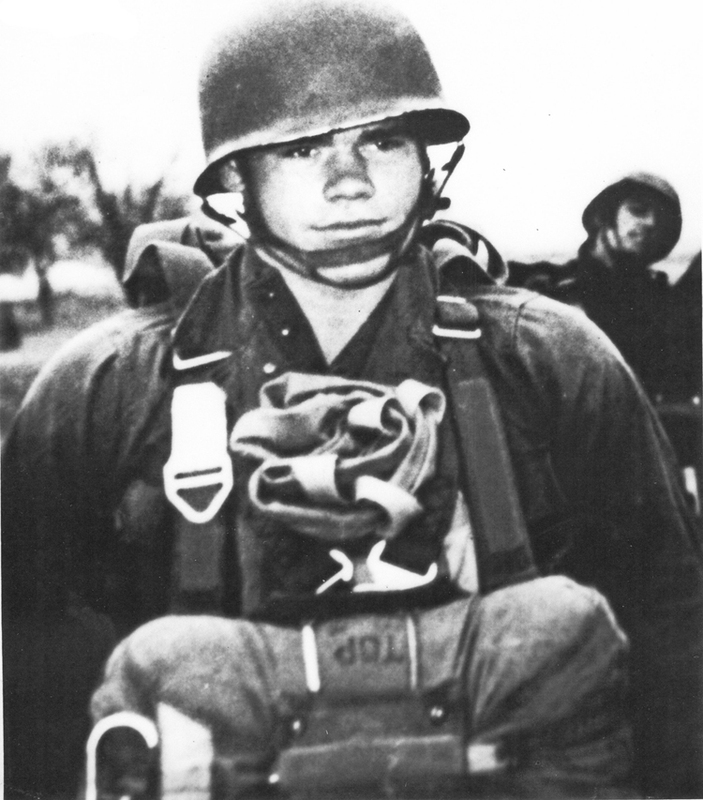 1LT Galloway and so many other wonderful heroes have given so very much to this great country. May God bless you and yours and may He allow me to shake the hand of 1LT Galloway when I someday get to Heaven to personally say thank you. With respect, and the best salute that a civilian can muster for your close friend, 1LT Arthur Lee Galloway Jr.
but when dawn broke that Wednesday morning I thought (as I do every year), "Today is the day that Lee died." He was quite simply the best of the best. reason to doubt the rest. It came from a member of the NC Vietnam Veterans Yahoo Group. official Vietnam era from August 5, 1964 to May 7, 1975. 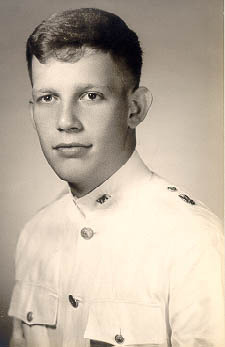 The first man to die in Vietnam was James Davis, in 1958. He was with the 509th Radio Research Station. Davis Station in Saigon was named for him. Vietnam Veterans are less likely to be in prison - only one-half of one percent of Vietnam Veterans has been jailed for crimes. 1,713,823 of those who served in Vietnam were still alive as of August 1995 (census figures). During that same Census count, the number of Americans falsely claiming to have served in country was: 9,492,958. As of the current Census taken during August 2000, the surviving U.S. Vietnam Veteran population estimate is: 1,002,511. This is hard to believe, losing nearly 711,000 between '95 and '00. That's 390 per day. During this Census count, the number of Americans falsely claiming to have served in country is: 13,853,027. By this census, FOUR OUT OF FIVE WHO CLAIM TO BE Vietnam vets are not. Isolated atrocities committed by American Soldiers produced torrents of outrage from anti-war critics and the news media while Communist atrocities were so common that they received hardly any media mention at all. The United States sought to minimize and prevent attacks on civilians while North Vietnam made attacks on civilians a centerpiece of its strategy. Americans who deliberately killed civilians received prison sentences while Communists who did so received commendations. From 1957 to 1973, the National Liberation Front assassinated 36,725 Vietnamese and abducted another 58,499. The death squads focused on leaders at the village level and on anyone who improved the lives of the peasants such as medical personnel, social workers, and schoolteachers. Fact: Mortality studies show that 9,000 is a better estimate. "The CDC Vietnam Experience Study Mortality Assessment showed that during the first 5 years after discharge, deaths from suicide were 1.7 times more likely among Vietnam veterans than non-Vietnam veterans. After that initial post-service period, Vietnam veterans were no more likely to die from suicide than non-Vietnam veterans. In fact, after the 5-year post service period, the rate of suicides is less in the Vietnam veterans' group. Fact: 86% of the men who died in Vietnam were Caucasians, 12.5% were black, and 1.2% was other race. Sociologists Charles C. Moskos and John Sibley Butler, in their recently published book "All That We Can Be," said they analyzed the claim that blacks were used like cannon fodder during Vietnam "and can report definitely that this charge is untrue. Black fatalities amounted to 12 percent of all Americans killed in Southeast Asia - a figure proportional to the number of blacks in the U.S. population at the time and slightly lower than the proportion of blacks in the Army at the close of the war." Fact: The average infantryman in the South Pacific during World War II saw about 40 days of combat in four years. The average infantryman in Vietnam saw about 240 days of combat in one year thanks to the mobility of the helicopter. 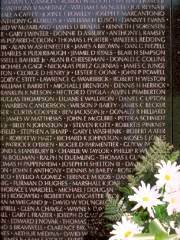 One out of every 10 Americans who served in Vietnam was a casualty. 58,148 were killed and 304,000 wounded out of 2.7 million who served. Although the percent that died is similar to other wars, amputations or crippling wounds were 300 percent higher than in World War II.... 75,000 Vietnam veterans are severely disabled. MEDEVAC helicopters flew nearly 500,000 missions. Over 900,000 patients were airlifted (nearly half were American). The average time lapse between wounding to hospitalization was less than one hour. As a result, less than one percent of all Americans wounded, who survived the first 24 hours, died. The helicopter provided unprecedented mobility. Without the helicopter it would have taken three times as many troops to secure the 800-mile border with Cambodia and Laos (the politicians thought the Geneva Conventions of 1954 and the Geneva Accords or 1962 would secure the border). Myth: Kim Phuc, the little nine year old Vietnamese girl running naked from the napalm strike near Trang Bang on 8 June 1972...shown a million times on American television.... was burned by Americans bombing Trang Bang. Fact: No American had involvement in this incident near Trang Bang that burned Phan Thi Kim Phuc. The planes doing the bombing near the village were VNAF (Vietnam Air Force) and were being flown by Vietnamese pilots in support of South Vietnamese troops on the ground. The Vietnamese pilot who dropped the napalm in error is currently living in the United States. Even the AP photographer, Nick Ut, who took the picture, was Vietnamese. The incident in the photo took place on the second day of a three-day battle between the North Vietnamese Army (NVA) who occupied the village of Trang Bang and the ARVN (Army of the Republic of Vietnam) who were trying to force the NVA out of the village. Recent reports in the news media that an American commander ordered the air strike that burned Kim Phuc are incorrect. There were no Americans involved in any capacity. "We (Americans) had nothing to do with controlling VNAF," according to Lieutenant General (Ret) James F. Hollingsworth, the Commanding General of TRAC at that time. Also, it has been incorrectly reported that two of Kim Phuc's brothers were killed in this incident. They were Kim's cousins, not her brothers. Fact: The American military was not defeated in Vietnam. The American military did not lose a battle of any consequence. From a military standpoint, it was almost an unprecedented performance. General Westmoreland quoting Douglas Pike, a professor at the University of California, Berkley a renowned expert on the Vietnam War). This included Tet 68, which was a major military defeat for the VC and NVA. The fall of Saigon happened 30 April 1975, two years AFTER the American military left Vietnam. The last American troops departed in their entirety 29 March 1973. How could we lose a war we had already stopped fighting? We fought to an agreed stalemate. The peace settlement was signed in Paris on 27 January 1973. It called for release of all U.S. prisoners, withdrawal of U.S. forces, limitation of both sides' forces inside South Vietnam and a commitment to peaceful reunification. The 140,000 evacuees in April 1975 during the fall of Saigon consisted almost entirely of civilians and Vietnamese military, NOT American military running for their lives. There were almost twice as many casualties in Southeast Asia (primarily Cambodia) the first two years after the fall of Saigon in 1975 then there were during the ten years the U.S. was involved in Vietnam. Thanks for the perceived loss and the countless assassinations and torture visited upon Vietnamese, Laotians, and Cambodians goes mainly to the American media and their undying support-by-misrepresentation of the anti-War movement in the United States. As with much of the Vietnam War, the news media misreported and misinterpreted the 1968 Tet Offensive. It was reported as an overwhelming success for the Communist forces and a decided defeat for the U.S. forces. Nothing could be further from the truth. Despite initial victories by the Communists forces, the Tet Offensive resulted in a major defeat of those forces. General Vo Nguyen Giap, the designer of the Tet Offensive, is considered by some as ranking with Wellington, Grant, Lee and Macarthur as a great commander. Still, militarily, the Tet Offensive was a total defeat of the Communist forces on all fronts. It resulted in the death of some 45,000 NVA troops and the complete, if not total destruction of the Viet Cong elements in South Vietnam. The Organization of the Viet Cong Units in the South never recovered. The Tet Offensive succeeded on only one front and that was the News front and the political arena. This was another example in the Vietnam War of an inaccuracy becoming the perceived truth. However inaccurately reported, the News Media made the Tet Offensive famous. Thank you, Al - for everything! Thank you, Bill - for everything!